For a long time, we have been told that the international Daphne Project, the European Parliament and the family of Daphne Caruana Galizia are one big unholy alliance. They spin the same story out of the same pack of lies, for the purpose of bashing Malta out of partisan interest and international envy. One of the interesting things to emerge on Monday out of the European Parliament’s financial crimes committee meeting with the Justice Minister, Owen Bonnici, is the actual divergence between the respective positions of the Caruana Galizia family, the Daphne Project and the European Parliament. Representatives of each spoke after Bonnici gave his presentation. Overlong, flying in the face of received opinion, doggedly insisting on shades of grey, it reminded me of some of my columns. Bonnici’s argument is that Malta’s political and legal system are fundamentally sound. They were found compliant with EU standards just before Malta’s accession. Imperfections there are but Malta is working on them. It’s cooperating with European counterparts. Maltese institutions – the police, the financial investigators, the judiciary – need to be trusted and allowed to do their work. Against this position, three different collective voices were heard. Matthew Caruana Galizia spoke on behalf of his assassinated mother’s family as well as a Pulitzer Prize-winning data journalist who’s handled some big cases and collaborated on some of his mother’s investigations. Although he distinguished between justice for his mother and justice for her stories, it’s clear he believes that the assassination is linked to her investigations of government corruption and that the mastermind behind the assassination may be someone in government. He also sees the Maltese case in a European framework. For him, it’s only one extreme example of the Azerbaijani regime undermining European democracy and rule of law. Caruana Galizia compared Europe currently to the 19th-century US, vulnerable to gangsters and robber barons until the FBI was set up some decades later. He thinks a European investigation agency is needed that automatically steps in to tackle pan-European crime networks. Stephen Grey, the Reuters journalist representing the Daphne Project, made clear that his consortium was not endorsing Caruana Galizia’s accusations. We do not take sides, he said. They are simply pursuing Daphne’s stories to see if anything of interest comes up. Some background on Grey: he’s a top British journalist best known for revealing details of the CIA’s programme of ‘extraordinary rendition’ during the George W. Bush years. He’s also won plaudits for reporting from war zones in Afghanistan. So, for those saying he’s pursuing his country’s agenda against Malta, this is someone who rained on his own country’s special alliances. For those saying he’s doing Matthew a favour (as one does), he has too much to lose. He doesn’t need spurious glory. He has enough of the real thing. Grey steered clear of big future visions of Europe as well as Maltese politics. He gave a pragmatic assessment by a professional journalist of what smells funny. He said that Malta was developing, as key sectors of its economy, areas that attract international criminals like bees to honey – gaming, cryptocurrencies, etc. If you’re going to do that, you must make sure your system is secure against penetration and that your forces of law and order are capable and willing to react to law-breaking. Unlike Caruana Galizia, Grey allowed that the police force and the judiciary may have their own reasons for proceeding the way they are. He wasn’t going to second-guess them. But some details left him wondering whether any progress was being made. For example, after the Daphne Project discovered the identity of the owner of the secret company 17 Black, the information was passed on to the police. But six months later, as far as he knows the police had not yet been in touch with the authorities in the United Arab Emirates or Latvia, whose cooperation is needed. Grey made another point, which any Euro-American journalist would make. The issue of secret Panama companies, and secret deals, is not just a criminal issue, about which journalists are not competent to decide. It’s also about political accountability and ethics. He argued there is an unarguable case for demanding clarification. Yet, the Maltese authorities refuse even to clarify. The non-Maltese MEPs spoke with a different voice again: one of incredulity. Put to one side the MEP who asked Bonnici the second question, a showboat in love with his own voice, and the penultimate questioner, who had her facts wrong. Far from the cabal out to get Malta, the MEPs present were asking the natural questions. They were hearing about schemes that attract shady characters. There is evidence of inadequate filters against wrongdoers. There are weak institutional responses when wrongdoing is found. There’s political protection of two people found with Panama companies. Konrad Mizzi gave the MEPs at least one answer that’s contradicted by the documentation. The only people doing any dogged investigations are journalists, who are either killed or threatened with exorbitant lawsuits, which the government does nothing about. The MEPs’ response to all this was summed up in the final question put to Bonnici: are you seriously saying there is major nothing to be concerned about? There is no doubt that some of these MEPs are full-blown federalists who’d like to erode national prerogatives in the area of tax. But that’s not the motive for their questions. They fear that Malta’s institutional weaknesses can end up infecting the entire European system. It’s not Maltese economic strength that they fear; it’s Maltese frailty. Bonnici’s insistence on shades of grey will not have convinced them. Still, he was lucky. The MEPs pulled their punches. They asked him about what he thought of Mizzi. They could have asked him what he thought of himself – a justice minister who is also the Prime Minister’s lawyer. They asked him about whether he’s concerned in general. They could have asked whether he is concerned that Brian Tonna, of Nexia BT, was employed by the Justice Ministry while the wheels of justice were supposed to be considering whether he should be a target of investigation. As for us, what are we supposed to make of all this? 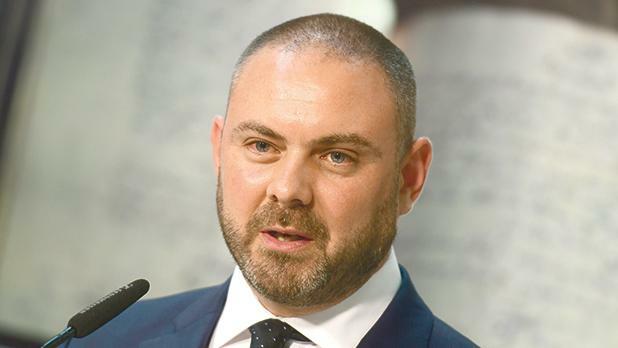 This newspaper has fact-checked Bonnici’s claims and shown that the shades of grey lie not in the institutions but in his assurances, which fudged black and white truth. That’s right. The government’s best argument, presented in an arena where reputation management is critical, was based on asking MEPs to trust it while feeding them half-truths, knowing they will inevitably find out.